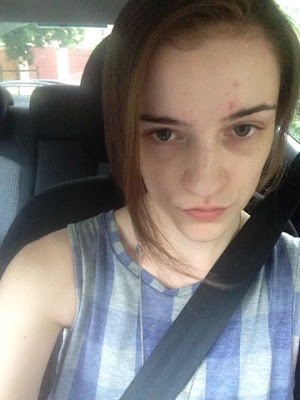 No Makeup Week: Day 4 | What Does Mel Think? Today was a lot easier, it felt just like a normal day because I was just out and about with my boyfriend then just relaxing at home. On days like this I wouldn't usually bother with makeup anyway and my boyfriend never notices the difference so that makes me very comfortable! Apart from two spots that have sprouted on my forehead, I think my skin is loving the break from the congestion of makeup! This is seeming to become way more normal now, and saving me so much time in the morning!